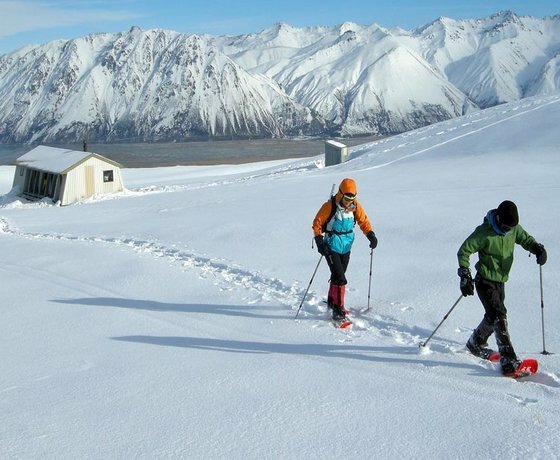 Lake Tekapo Snowshoe Hikes are 2-5 day trips based from Rex Simpson Hut in the Two Thumb Range above Lake Tekapo. The foothills of the Southern Alps undergo a magic transformation in winter. 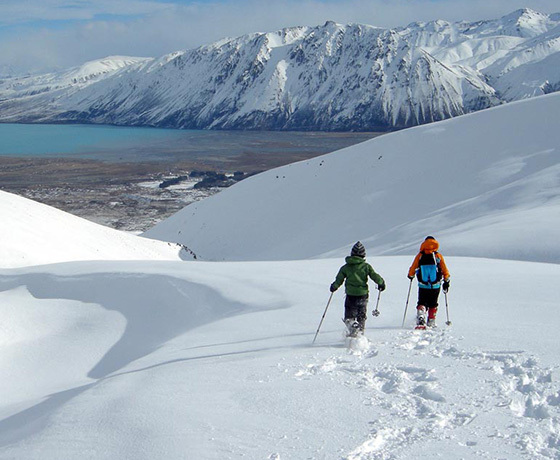 A covering of snow turns the golden tussock lands into an extensive playground, not just for skiers, but also trampers on snowshoes. 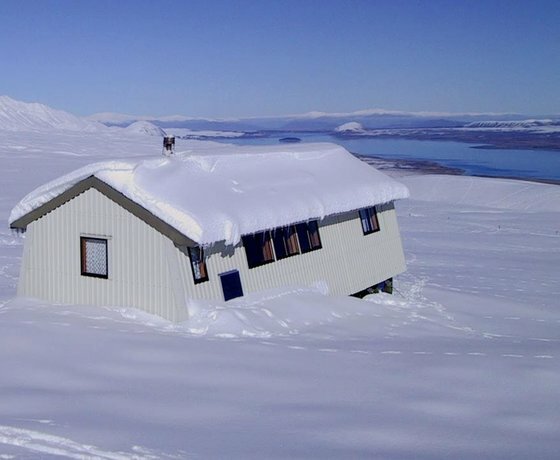 Hike 3 hours up to the cosy mountain hut at the snowline (1280m) and use this as a base to explore a winter wonderland of ice-covered streams, curving ridges and snowy valleys. Relax in the evenings in the warmth of a pot belly stove. 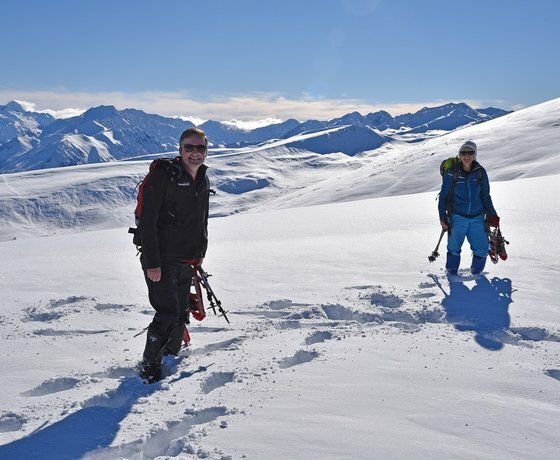 Here in the foothills of the Southern Alps you are in the Kahui Kaupeka Conservation Park of the Two Thumb Range with grand views across the Mackenzie Basin and of the major peaks of the Main Divide, Mounts Cook and Tasman. Showshoeing season operates from July through to September. If approaching Tekapo Village from Christchurch turn left into Hamilton Drive. Continue along Hamilton Drive to the top of the hill, where it becomes Murray Place. Continue about 150 m and an Alpine Recreation sign will be on the left just before the 50 kph sign.